Doug Conti is a commodity broker and market analyst with Midwest Market Solutions. Doug has been a licensed broker since 1995. Doug is well versed in the livestock markets as he has previous employment experience as a hog buyer. 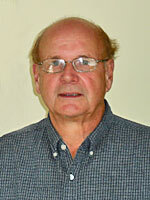 Doug specializes in ag marketing plans with emphasis in the livestock sector.